I say to people who have babies to take loads of photo's of your children right through their lives as a memory of how they looked at different ages because I know I for one would not be able to imagine what my children looked like at every stage as children change so much. Hubs & I spent two days sorting through photo after photo, album after album trying to shortlist pictures for Jodie's scrapbook & I had absolutely no idea we had taken quite so many photo's, but we are so pleased we did as it is so true we would not have remember everything without the memories photo's hold. The down side of having all those photo's is how the heck do we whittle them down lol. 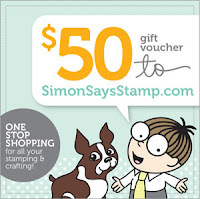 My lovely teamies & I are featuring some Lawn Fawn or The Crafts Meow products on our creations this week. If you have any we'd love to see them but as always it's not compulsory to enter our challenge. 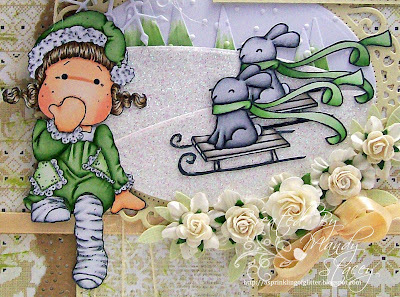 For today's card I have used my favourite Lawn Fawn stamp & stamped & coloured it twice to make it look like the cutes bunnies are racing. 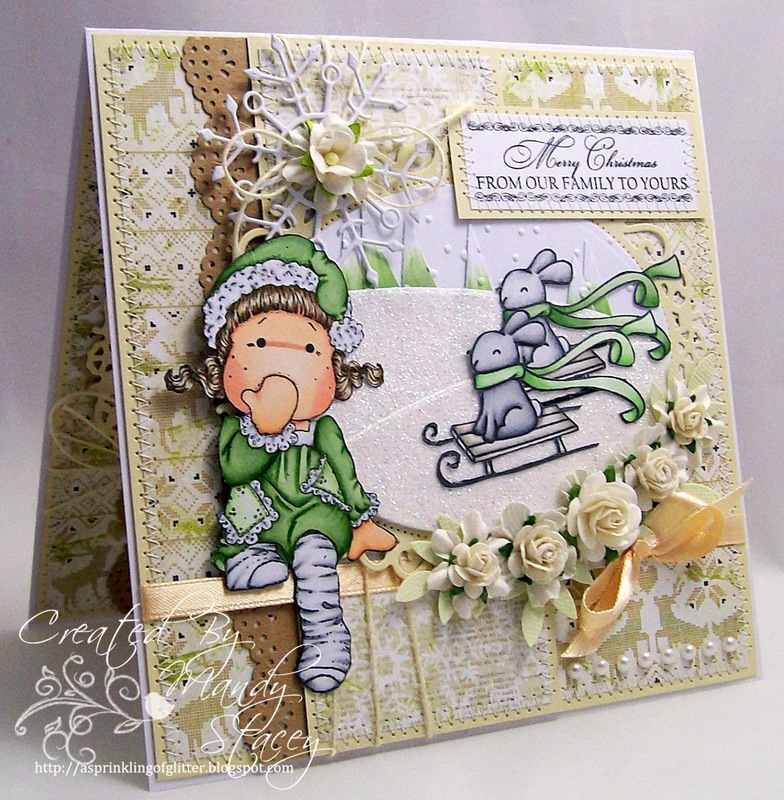 The lovely curvy hills in the background have been created using one of Simon's lovely new STAMPtember® release dies. I don't have enough room to make my scrapbook pages in my tiny craft room & as it's directly off the kitchen I'm kind of trashing the kitchen as well as my craft room in the "creative process" lol. I need to attempt to try and keep everything on the kitchen table today as hubby has a day off and I want him to cook dinner so I need to make sure the worktops are clear for him, thoughtful aren't I lol. Ooh! 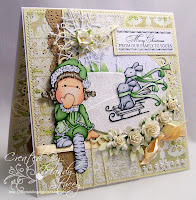 Gorgeous card Mandy, love the fresh green on Tilda's dress and those cute bunnies! 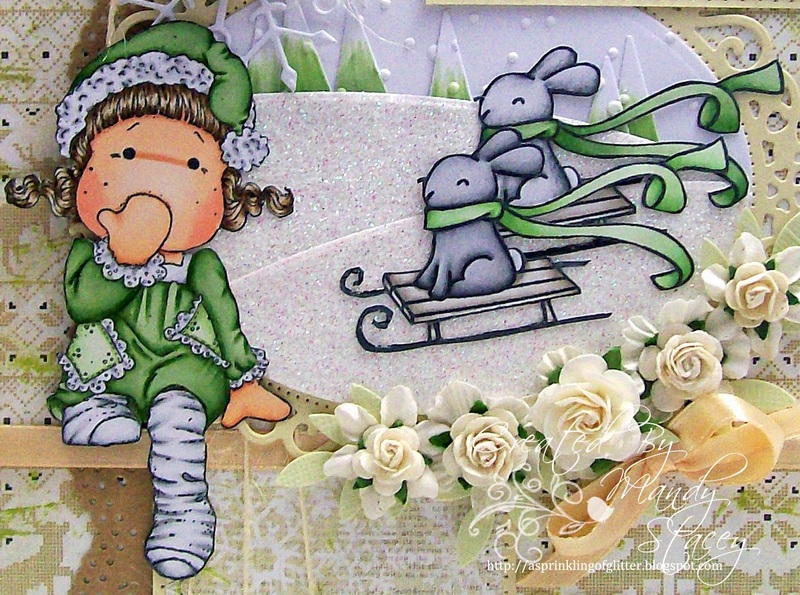 Mandy, what a cute combination of those adorable bunnies and your Magnolia! Wow! 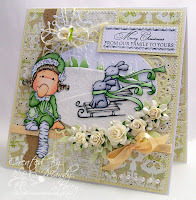 Gorgeous card Mandy!! So pretty! A gorgeous card. I love the racing bunnies. Absolutely brilliant with the bunnies sledging and absolutely gorgeous too. 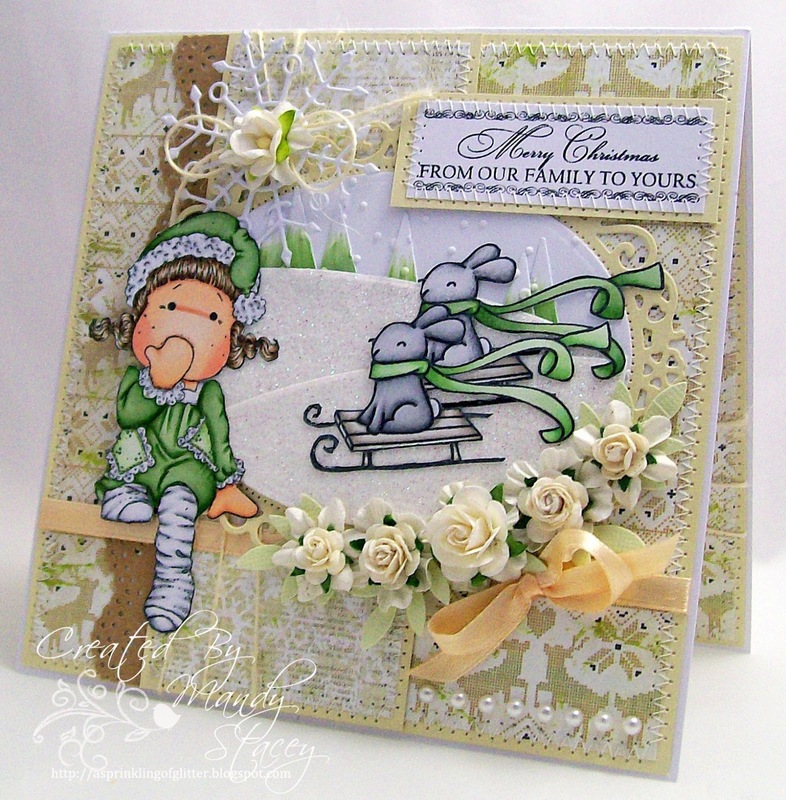 What a fun scene Mandy, lovely images and such beautiful detailing!! Love those little LF bunnies, and I think this little girl does too! I like how you dressed each of them in that bright green. Such a beautiful Christmas card.